Golfire's Goggle Shed is made of Nomex and is pleated to fit to the contour of your helmet keeping it low profile. It easily adheres to the helmet and will remain there during operations. The Goggle shed is light weight and will fit any helmet! 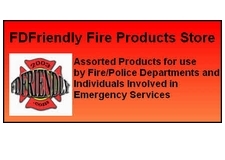 Included is a strip of 3M reflective adding to your visibility on the fire ground. One size fits all!